What if a Chinese person were to marry a Polynesian, or an African with black skin were to marry a Japanese—would these marriages be in accord with biblical principles? The tragic legacy of Darwin’s controversial speculations on evolution has led to terrible consequences taken to the deadliest extremes. One Race One Blood reveals the origins of these horrors, as well as the truth revealed in Scripture that God created only one race. A significant number of Christians would claim that such “interracial” marriages directly violate God’s principles in the Bible and should not be allowed. Does the Word of God really condemn the marriages mentioned above? Is there ultimately any such thing as interracial marriage? In the 1800s, before Darwinian evolution was popularized, most people, when talking about “races,” would be referring to such groups as the “English race,” “Irish race,” and so on. However, this all changed in 1859 when Charles Darwin published his book On the Origin of Species by Means of Natural Selection or the Preservation of Favoured Races in the Struggle for Life. Scientists today admit that, biologically, there really is only one race of humans. 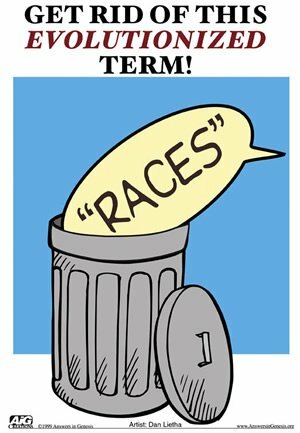 In an article in the Journal of Counseling and Development,12 researchers argued that the term “race” is basically so meaningless that it should be discarded. 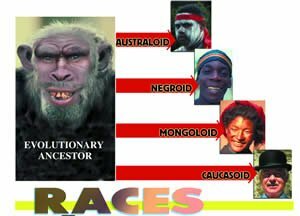 Personally, because of the influences of Darwinian evolution and the resulting prejudices, I believe everyone (and especially Christians) should abandon the term “race(s).” We could refer instead to the different “people groups” around the world. 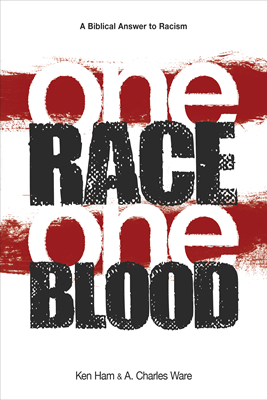 The Bible does not even use the word race in reference to people,14 but it does describe all human beings as being of “one blood” ( Acts 17:26 ). This of course emphasizes that we are all related, as all humans are descendants of the first man, Adam ( 1 Corinthians 15:45 ),15 who was created in the image of God ( Genesis 1:26–27 ).16 The Last Adam, Jesus Christ ( 1 Corinthians 15:45 ) also became a descendant of Adam. Any descendant of Adam can be saved because our mutual relative by blood (Jesus) died and rose again. This is why the gospel can (and should) be preached to all tribes and nations. Can the Bible be used to justify racist attitudes? Both the Old and New Testaments of the Bible mention slaves and slavery. As with all other biblical passages, these must be understood in their grammatical-historical context. Job recognized that all were equal before God, and all should be treated as image-bearers of the Creator. The forced enslavement of another human being goes against the biblical teaching that all humans were created in the image of God and are of equal standing before Him. Those consistently living out their Christian faith realize that the forced enslavement of another human being goes against the biblical teaching that all humans were created in the image of God and are of equal standing before Him ( Galatians 3:28 ; Colossians 3:11 ). Indeed, the most ardent abolitionists during the past centuries were Bible-believing Christians. John Wesley, Granville Sharp, William Wilberforce, Jonathan Edwards, Jr., and Thomas Clarkson all preached against the evils of slavery and worked to bring about the abolition of the slave trade in England and North America. Harriet Beecher Stowe conveyed this message in her famous novel Uncle Tom’s Cabin. And of course, who can forget the change in the most famous of slave traders? John Newton, writer of “Amazing Grace,” eventually became an abolitionist after his conversion to Christianity, when he embraced the truth of Scripture. 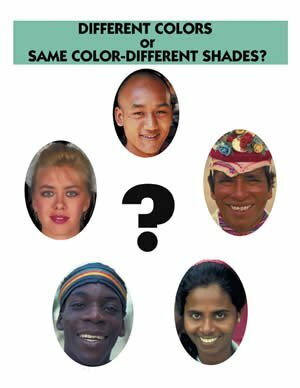 But some people think there must be different races of people because there appear to be major differences between various groups, such as skin color and eye shape. The truth . . . is that these so-called “racial characteristics” are only minor variations among people groups. If the Bible teaches and science confirms that all are of the same human race and all are related as descendants of Adam, then why are there such seemingly great differences between us (for example, in skin color)? The answer, again, comes with a biblically informed understanding of science. Jesus loves the little children, all the children of the world. Red and yellow, black and white, they are precious in His sight. In the stem cells, the pigment serves its function as it forms a little dark umbrella over each nucleus. The melanin protects the epidermal cells from being damaged by sunlight. In people with lighter shades of skin, much of the pigment is lost after these cells divide and their daughter cells move up in the epidermis to form the surface dead layer—the stratum corneum. Geneticists have found that four to six genes, each with multiple alleles (or variations), control the amount and type of melanin produced. Because of this, a wide variety of skin shades exist. In fact, it is quite easy for one couple to produce a wide range of skin shades in just one generation, as will be shown below. DNA (deoxyribonucleic acid) is the molecule of heredity that is passed from parents to child. In humans, the child inherits 23 chromosomes from each parent (the father donates 23 through his sperm, while the mother donates 23 through her egg). At the moment of conception, these chromosomes unite to form a unique combination of DNA and control much of what makes the child an individual. Each chromosome pair contains hundreds of genes, which regulate the physical development of the child. Note that no new genetic information is generated at conception, but a new combination of already-existing genetic information is formed. To illustrate the basic genetic principles involved in determining skin shade, we’ll use a simplified explanation,26 with just two genes controlling the production of melanin. 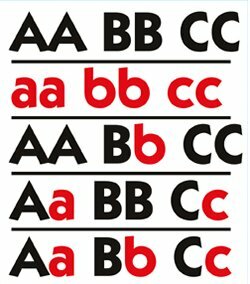 Let’s say that the A and B versions of the genes code for a lot of melanin, while the a and b versions code for a small amount of melanin. If the father’s sperm carried the AB version and the mother’s ovum carried the AB, the child would be AABB, with a lot of melanin, and thus very dark skin. Should both parents carry the ab version, the child would be aabb, with very little melanin, and thus very light skin. If the father carries AB (very dark skin) and the mother carries ab (very light skin), the child will be AaBb, with a middle brown shade of skin. In fact, the majority of the world’s population has a middle brown skin shade. A simple exercise with a Punnet Square shows that if each parent has a middle brown shade of skin (AaBb), the combinations that they could produce result in a wide variety of skin shades in just one generation. Based on the skin colors seen today, we can infer that Adam and Eve most likely would have had a middle brown skin color. Their children, and children’s children, could have ranged from very light to very dark. DNA also controls the basic shape of our eyes. Individuals whose DNA codes for an extra layer of adipose tissue around the eyes have almond-shaped eyes (this is common among Asian people groups). All people groups have adipose tissue around the eyes, some simply have more or less. Those with darker skin tend to live in warmer climates, while those with lighter skin tend to live in colder climates. Why are certain characteristics more prominent in some areas of the world? We know that Adam and Eve were the first two people. Their descendants filled the earth. However, the world’s population was reduced to eight during the Flood of Noah. From these eight individuals have come all the tribes and nations. It is likely that the skin shade of Noah and his family was middle brown. This would enable his sons and their wives to produce a variety of skin shades in just one generation. Because there was a common language and everybody lived in the same general vicinity, barriers that may have prevented their descendants from freely intermarrying weren’t as great as they are today. Thus, distinct differences in features and skin color in the population weren’t as prevalent as they are today. If we were to travel back in time to Babel, and mix up the people into completely different family groups, then people groups with completely different characteristics might result. Some of these (skin color, eye shape, and so on) became general characteristics of each particular people group through various selection pressures (environmental, sexual, etc.) and/or mutation.31 For example, because of the protective factor of melanin, those with darker skin would have been more likely to survive in areas where sunlight is more intense (warmer, tropical areas near the equator), as they are less likely to suffer from diseases such as skin cancer. Those with lighter skin lack the melanin needed to protect them from the harmful UV rays, and so may have been more likely to die before they were able to reproduce. UVA radiation also destroys the B vitamin folate, which is necessary for DNA synthesis in cell division. Low levels of folate in pregnant women can lead to defects in the developing baby. Again, because of this, lighter-skinned individuals may be selected against in areas of intense sunlight. Of course, these are generalities. Exceptions occur, such as in the case of the darker-skinned Inuit tribes living in cold northern regions. However, their diet consists of fish, the oil of which is a ready source of vitamin D, which could account for their survival in this area. Is there anything in the Bible that speaks clearly against men and women from different people groups marrying? Real science in the present fits with the biblical view that all people are rather closely related—there is only one race biologically. Therefore, to return to our original question, there is, in essence, no such thing as interracial marriage. So we are left with this—is there anything in the Bible that speaks clearly against men and women from different people groups marrying? Note that the context of Genesis 11 makes it clear that the reason for God’s scattering the people over the earth was that they had united in rebellion against Him. Some Christians point to this event in an attempt to provide a basis for their arguments against so-called interracial marriage. They believe that this passage implies that God is declaring that people from different people groups can’t marry so that the nations are kept apart. However, there is no such indication in this passage that what is called “interracial marriage” is condemned. Besides, there has been so much mixing of people groups over the years, that it would be impossible for every human being today to trace their lineage back to know for certain which group(s) they are descended from. In all of this, God is working to redeem for Himself a people who are one in Christ. The Bible makes clear in Galatians 3:28 , Colossians 3:11 , and Romans 10:12–13 that in regard to salvation, there is no distinction between male or female or Jew or Greek. In Christ, any separation between people is broken down. As Christians, we are one in Christ and thus have a common purpose—to live for Him who made us. This oneness in Christ is vitally important to understanding marriage. Malachi 2:15 informs us that an important purpose of marriage is to produce godly offspring—progeny that are trained in the ways of the Lord. Jesus (in Matthew 19 ) and Paul (in Ephesians 5 ) make it clear that when a man and woman marry, they become one flesh (because they were one flesh historically— Eve was made from Adam). Also, the man and woman must be one spiritually so they can fulfill the command to produce godly offspring. 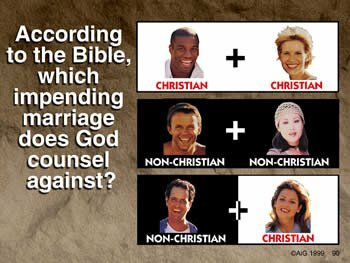 According to the Bible then, which of the following marriages in the picture on the right does God counsel against entering into? The answer is obvious—number 3. According to the Bible, the priority in marriage is that a Christian should marry only a Christian. The father shall make known Your truth to the children ( Isaiah 38:19 ). These are just a few of the many verses that mention fathers in regard to training children. Additionally, the writer of Psalm 78 continually admonishes fathers to teach their children so they’ll not forget to teach their children, so that they might not forget what God has done and keep His commandments. 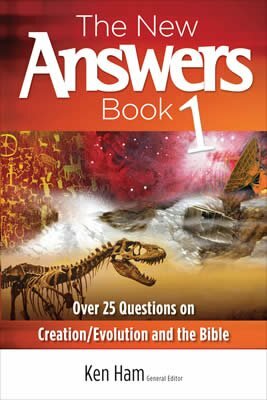 This includes building within their children a proper biblical worldview and providing them with answers to the questions the world asks about God and the Bible (as this book does). It also includes shepherding and loving his wife as Christ loved the church. Of course, just as God made the role of the man clear, He has also made His intentions known regarding the role of a godly wife. In the beginning, God fashioned a woman to complete what was lacking in Adam, that she might become his helper, that the two of them would truly become one ( Genesis 2:15–25 ). In other Bible passages the woman is encouraged to be a woman of character, integrity, and action (e.g., Proverbs 31:10–31 ). Certainly mothers should also be involved in teaching their children spiritual truths. These roles are true for couples in every tribe and nation. The examples of Rahab and Ruth help us understand how God views the issue of marriage between those who are from different people groups but trust in the true God. Rahab was a Canaanite. These Canaanites had an ungodly culture and were descendants of Canaan, the son of Ham. Remember, Canaan was cursed because of his obvious rebellious nature. Sadly, many people state that Ham was cursed—but this is not true.36 Some have even said that this (non-existent) curse of Ham resulted in the black “races.”37 This is absurd and is the type of false teaching that has reinforced and justified prejudices against people with dark skin. In the genealogy in Matthew 1 , it is traditionally understood that the same Rahab is listed here as being in the line leading to Christ. Thus, Rahab, a descendant of Ham, must have married an Israelite (descended from Shem). Since this was clearly a union approved by God, it underlines the fact that the particular “people group” she came from was irrelevant—what mattered was that she trusted in the true God of the Israelites. The same can be said of Ruth, who as a Moabitess also married an Israelite and is also listed in the genealogy in Matthew 1 that leads to Christ. Prior to her marriage, she had expressed faith in the true God ( Ruth 1:16 ). When Rahab and Ruth became children of God, there was no longer any barrier to Israelites marrying them, even though they were from different people groups. There is no biblical justification for claiming that people from different so-called races (best described as people groups) should not marry. The biblical basis for marriage makes it clear that a Christian should marry only a Christian. When Christians legalistically impose nonbiblical ideas, such as no interracial marriage onto their culture, they are helping to perpetuate prejudices that have often arisen from evolutionary influences. 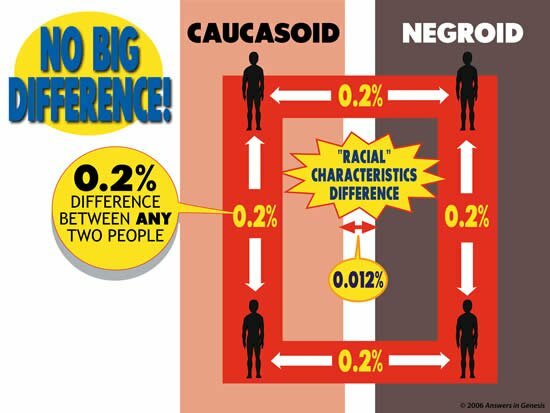 If we are really honest, in countries like America, the main reason for Christians being against interracial marriage is, in most instances, really because of skin color. The church could greatly relieve the tensions over racism . . . if only the leaders would teach biblical truths about our shared ancestry. The church could greatly relieve the tensions over racism (particularly in countries like America), if only the leaders would teach biblical truths about our shared ancestry: all people are descended from one man and woman; all people are equal before God; all are sinners in need of salvation; all need to build their thinking on God’s Word and judge all their cultural aspects accordingly; all need to be one in Christ and put an end to their rebellion against their Creator. Christians must think about marriage as God thinks about each one of us. When the prophet Samuel went to anoint the next king of Israel, he thought the oldest of Jesse’s sons was the obvious choice due to his outward appearance. However, we read in 1 Samuel 16:7 , “ But the Lord said to Samuel, ‘Do not look at his appearance or at his physical stature, because I have refused him. For the Lord does not see as man sees; for man looks at the outward appearance, but the Lord looks at the heart.’ ” God doesn’t look at our outward biological appearance; He looks on our inward spiritual state. And when considering marriage, couples should look on the inside spiritual condition of themselves and each other because it is true that what’s on the inside, spiritually, is what really matters. Previous Chapter Where Does the Ice Age Fit? Next Chapter Are ETs & UFOs Real? J.P. Rushton, professor of psychology at the University of Western Ontario, Lond, Ontario, Canada, Race, Evolution and Behavior, www.harbornet.com/folks/theedrich/JP_Rushton/Race.htm. S.J. Gould, Ontogeny and Phylogeny, Belknap-Harvard Press, Cambridge, Massachusetts, 1977, 127–128. Missing links with mankind in early dawn of history, New York Tribune, p. 11, February 10, 1924. D. Monaghan, The body-snatchers, The Bulletin, November 12, 1991, pp. 30–38; Blacks slain for science’s white superiority theory, The Daily Telegraph Mirror, April 26, 1994. For more information on the fallacious nature of this idea, see answersingenesis.org/go/embryonic. E. Haeckel, The History of Creation, 1876, 363–363. J. Bergman, Ota Benga: the man who was put on display in the zoo! Creation 16(1):48–50, 1993. Keane, Arthur H.J., “Anthropological Curiosities - The Pygmies of the World”. Scientific American Supplement 64, no. 1650 (August 17, 1907): 99. This is not to say that evolution is the cause of racism. Sin is the cause of racism. However, Darwinian evolution fueled a particular form of racism. R.L. Hotz, Race has no basis in biology, researchers say, Cincinnati Enquirer, p. A3, February 20, 1997. We’re all the same, ABC News, September 10, 1998, www.abcnews.com/sections/science/ DyeHard/dye72.html. S.C. Cameron and S.M. Wycoff, The destructive nature of the term race: growing beyond a false paradigm, Journal of Counseling & Development, 76:277–285, 1998. N. Angier, Do races differ? Not really, DNA shows, New York Times web, Aug. 22, 2000. For more on this teaching, see chapter 6, Cain’s Wife—Who Was She? Contrary to popular belief, mankind does not share an apelike ancestor with other primates. To find out the truth behind the alleged apemen, visit answersingenesis.org/go/anthropology. W.C. Kaiser, Jr. et al., Hard Sayings of the Bible, InterVarsity Press, Downers Grove, Illinois, 1996, 150. J.C. Gutin, End of the rainbow, Discover, pp. 72–73, November 1994. Of course, melanin is not the only factor that determines skin shade: blood vessels close to the skin can produce a reddish tinge, while extra layers of adipose tissue (fat) in the skin yield a yellowish tinge. Exposure to the sun can cause increased melanin production, thus darkening skin, but only to a certain point. Other pigments also affect skin shade but generally have very little bearing on how light or dark the skin will be. The major provider of skin color is melanin. Ackerman, Histopathologic Diagnosis of Skin Diseases, Lea & Febiger, Philadelphia, Pennsylvania, 1978, 44; Lever and Schamberg-Lever, Histopathology of the Skin, 7th Ed., J.B. Lippincott, Philadelphia, 1990, 18–20. The actual genetics involved are much more complicated than this simplified explanation. There are 4 to 6 genes with multiples alleles (versions) of each gene that operate under incomplete dominance, that is, they work together to produce an individual’s particular skin shade. However, simplifying the explanation does not take away from the point being made. Albinism results from a genetic mutation which prevents the usual production of melanin. For more information, see answersingenesis.org/go/red-hair. As they went, the family groups took with them the knowledge that had been passed to them about the creation and Flood events. Although these accounts have been changed over time, they reflect the true account found in the Bible. For more information, see answersingenesis.org/go/legends. This assumes that each trait is independently inherited, which may not always be the case. Although there are many instances in which a certain trait shows up in a person of a different ethnic group (e.g., almond-shaped eyes in a woman with very dark skin, or blue eyes in a man with tightly curled brown hair and tan skin). For more on how selection and mutations operate, see chapter 22 in this book. See note on Acts 17:26 , in John Gill, D.D., An exposition of the Old and New Testament, London: printed for Mathews and Leigh, 18 Strand, by W. Clowes, Northumberland-Court, 1809. Edited, revised, and updated by Larry Pierce, 1994–1995 for Online Bible CD-ROM. It is true that in some exceptional instances when a Christian has married a non-Christian, the non-Christian spouse, by the grace of God, has become a Christian. This is a praise point but it does not negate the fact that Scripture indicates that it should not have been entered into in the first place. This does not mean that the marriage is not actually valid, nor does it dilute the responsibilities of the marital union—see also 1 Corinthians 7:12–14 , where the context is of one spouse becoming a Christian after marriage. 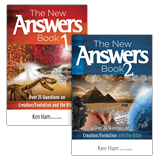 For more on this topic, see The Genesis of a Legacy by Ken Ham and Steve Ham, available from www.answersbookstore.com. See Genesis 9:18–27 . Canaan, the youngest of Ham’s sons, received Noah’s curse. Why? The descendants of Canaan were some of the wickedest people on earth. For example, the people of Sodom and Gomorrah were judged for their sexual immorality and rebellion. It may be that Ham’s actions toward his father ( Genesis 9:22 ) had sexual connotations, and Noah saw this same sin problem in Canaan and understood that Canaan’s descendants would also act in these sinful ways. (The Bible clearly teaches that the unconfessed sin of one generation is often greater in the next generation.) The curse on Canaan has nothing to do with skin color but rather serves as a warning to fathers to train their children in the nurture and admonition of the Lord. We need to deal with our own sin problems and train our children to deal with theirs. For example: “We know the circumstances under which the posterity of Cain (and later of Ham) were cursed with what we call Negroid racial characteristics” (Bruce McConkie, Apostle of the Mormon Council of 12, Mormon Doctrine, p. 554, 1958); “The curse which Noah pronounced upon Canaan was the origin of the black race” (The Golden Age, The Watchtower [now called Awake! ], p. 702, July 24, 1929). Examples of such “mixed marriages” and their negative consequences can be seen in Nehemiah 9 and Nehemiah 10 , and Numbers 25 .